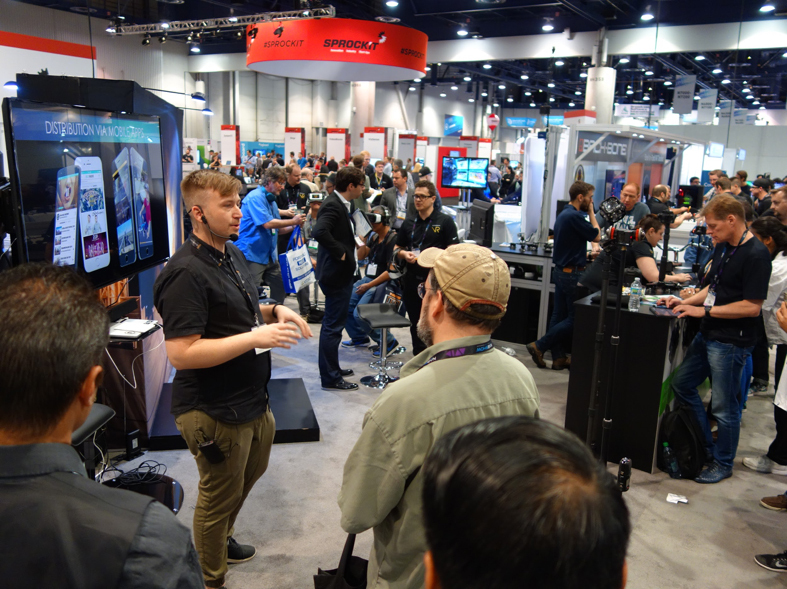 Beyond showcasing 360 videos, we co-hosted the space with our partners at Freedom360/VectorMount, who were showing off the new Trio rig, which combines a custom ribcage from Back-Bone and modified lenses by Entapano. Also, our friends at DEEP, Inc. shared the northwest corner of the booth, showing off the amazing Liquid Cinema suite. Presented by: Juha Kela, CEO of Finwe Ltd. 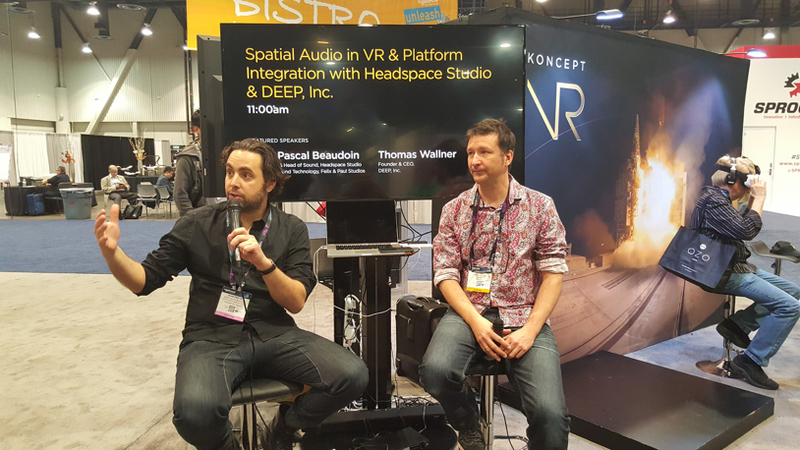 Presented by: Jean Pascal, Co-founder & Head of Sound – Headspace Studio and Thomas Wallner, Founder/CEO of DEEP, Inc. 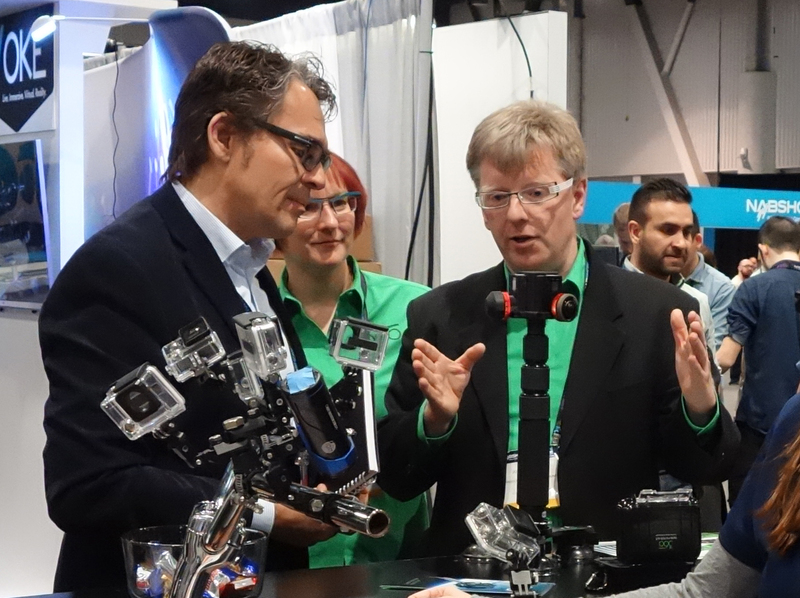 Swinging by our booth on the regular was industry press like our friends at the Foundry, chatting it up with Joergen Geerds, our CEO. As the roving press was hungry for product news, our COO Uli Futschik was ready to introduce some new Freedom 360 products. 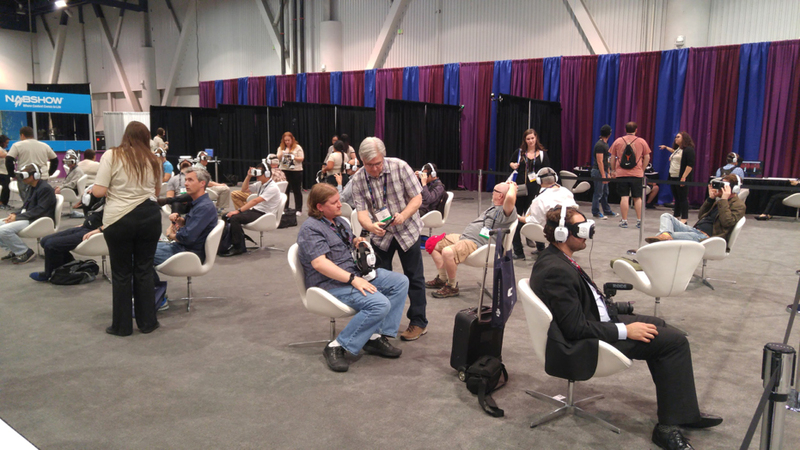 We were also lucky enough to be situated next to Kaleidescope who were finishing up their world tour at the NAB show. 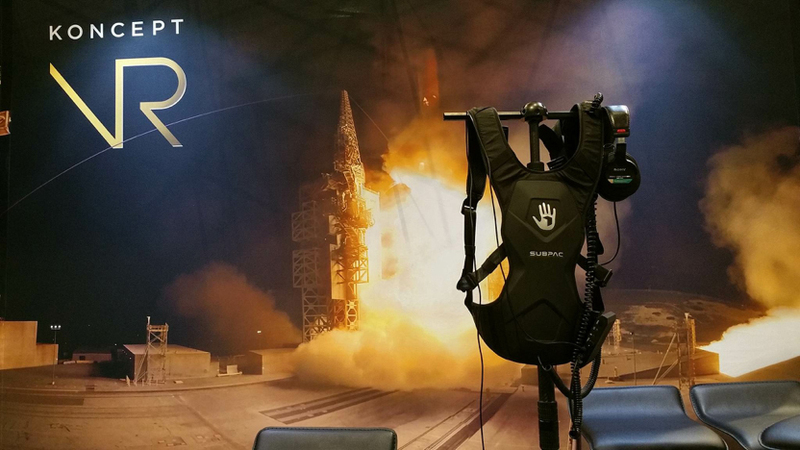 Their area was always abuzz and featured another one of our space films, the 12-minute VR documentary, “The Edge of Space” (we appear to be developing a series of space themes at this company). 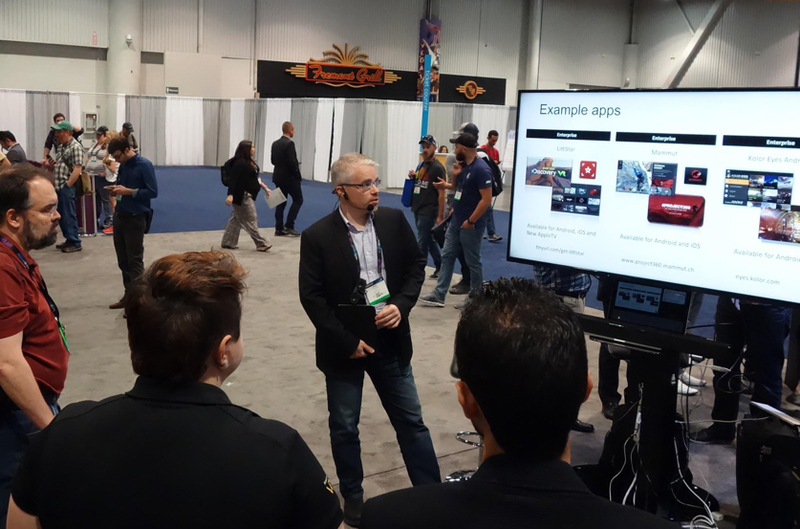 NAB was a wonderful experience. 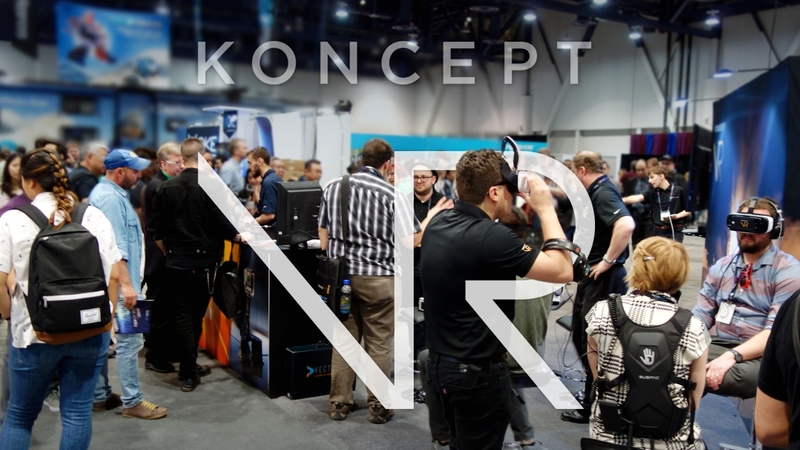 We want to thank everyone that stopped by our booth (Wemersive, Finwe Ltd., AirPano, Kolor, VideoStitch, Headspace Studio, Felix & Paul Studios, GoPro, SkyBox | Mettle, Dome3D…to name a few). It’s so exciting to see how this industry is growing and how much potential there is for the future. We’re so glad to be part of this amazing community and about the other projects coming down the pike!